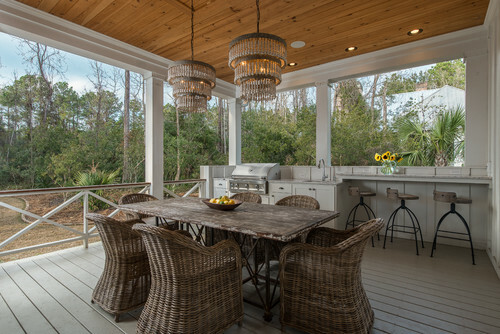 Conventional, closed-off cabinets can block views and light. 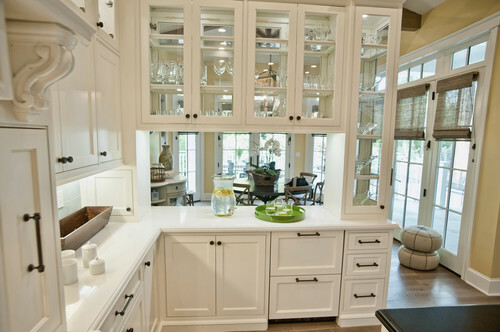 Instead, consider adding cabinets with glass doors or panels on both sides to make the kitchen feel more open. Make the most of your storage space! Shelves and cabinets with top-to-bottom storage offer that extra organization you’ve been craving. Want to add some glamor to your bedroom? Place a mirror on the wall above each nightstand. This is perfect for small spaces, creating greater depth in the room, and adding glitzy style to the bed wall. If you love the outdoors, building a small kitchen space around the grill makes it easier to prep meals on a porch. A sink makes for easy cleanup and cabinets offer storage for tools, dishes, spices and more. Looking for some Friday night fun with the family? 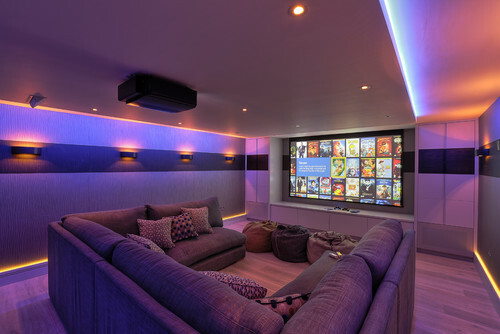 Cinema rooms are a modern way to get the everyone together for movies and games.